To ensure that you budget enough time to complete the requirements for the Springbok Award it is very important that you plan early. Too many scouts are caught off-guard and miss out on their Springbok because they leave the planning too late. 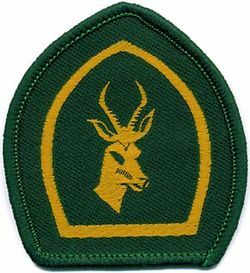 Should you decide to go for the award you will need to meet with the Regional Springbok co-ordinator and your Troop Scouter and plan out what you will be doing for each of your Springbok tasks and place provisional dates for them. Devise and run a wide game based on orientation or navigation for your Troop (two or more Patrols). The game should involve 10 bearings. With the prior approval of the RTC Scout Programme or their appointed nominee, plan and lead a three-day, two-night expedition over a route you have not covered before. The route should be at least 30km if walking. If the mode of transport is not hiking, a distance should be agreed upon by the RTC Scout Programme. Your group must comprise of at least four Scouts including yourself, the others being First Class level or below. Your route must be planned on a 1:50 000 map or equivalent. Submit a written log to your Scouter within four weeks of the expedition giving a detailed description of route, directions and landmarks. The log should be sufficiently detailed to allow someone else to easily follow your route. This expedition is ultimately signed off by the RTC Scout Programme or their appointed nominee. Take your Patrol on a day outing to visit one of the emergency services. Invite a guest speaker from one of the emergency services to talk to your Patrol / Troop. Obtain a Water Charge or Air Charge Certificate or Mountain Awareness Charge. On obtaining any one of these charges, organise a day activity for your Patrol/Troop where you can demonstrate your training and responsibility. The candidate may lead neither Patrol on the camp. An adult may be present only if necessary but cannot undertake any organisational role in the camp. It must be held away from the Scout meeting place. It must facilitate the training of younger Scouts, delegating duties to them where appropriate. Have an oral discussion with the examiner to evaluate the camp. Discuss all aspects from what was planned to what actually occurred. Give a presentation on Scouting and what you have learned during your time in Scouts to a non-Scouting audience or at an AGM (adult audience). The presentation should include the service projects in which you have participated / run. Identify a need in the community – either to the movement, community or environment. Produce a plan to fulfil this need. To raise money for charity. This can either be by initiating your own project or by actively participating in a charity drive by a third party organisation (like school Debs and Squires programmes). Produce a business plan to fulfil this need. Plan and run a training camp for disadvantaged children or Scouts. The total ‘Service Project’ should include at least 40 hours involvement by the candidate. At the completion of one of these options, have an oral discussion with the examiner on the outcome of the service project. The incidents can cover scenarios that involve land, sea or air based incidents. The selected project planning must be approved by the RTC Scout Programme or their nominee before the commencement of the project. The RTC Scout Programme may nominate a specialist member of the Regional Support Team to liaise with on the project. Choose one of the following major projects. Build an appropriately scaled model (1:10 or 1:20) of a proposed pioneering project that you have not built before. Then train Scouts and lead them in the building of the project. Draw an appropriately scaled detailed diagram (1:10 or 1:20) of a proposed permanent construction project, train Scouts and lead them in the building of the project. Undertake a project under supervision from a certified electrician or plumber, or any other artisan. Fulfil the obligations for the Quartermaster of your boat store for at least one term. During this period, you should repair at least four boats of two different types, and train at least four other Scouts in doing so. Train at least four Scouts on one of the Boating Interest badges where one Scout must attain that badge. Select an aeronautical project to be undertaken on an aircraft or in a hanger. This project must be vetted by the appropriate person with skills in that field and liaise with the RTC Scout Programme. Train at least four Scouts on one of the Air Interest badges where one Scout must attain that badge. Demonstrate that you are able to lead a climb, on sport and traditional grade 16 climbs. Tie off correctly at the top and lead belay. Train Scouts on climbing safety and the correct use of climbing equipment. Assist a Scout(s) in attaining the Scoutcraft Climbing badge. Attain the Gold level Food for Life. Train Scout(s) on the Starter or Silver Food for Life badge. Lead a Patrol of at least four Scouts in the planning and execution of a banquet of at least three courses for at least 20 people where you take responsibility for the décor, food, budget, programme, invitations and all other elements associated with the banquet. All the Scouts involved should be actively involved in the cooking of the meal and the candidate should demonstrate an ability to lead a team of cooks. Raw ingredients need to be used, but any cooking resource the Scout decides may be used. Complete a formal Wildlife Training Programme where you will learn skills that would be recognised, e.g. Game ranging, ornithology, etc. Lead a party of at least four people on an excursion where you can demonstrate these skills in a venue that does not have any of the ‘Big 5’ present. Hold a position of Scribe or Chairperson for at least a term at the COH. Assist with and document succession planning and goal setting within the Troop or your Patrol. Plan and run a Scout’s Own for your Troop or District delegating tasks as appropriate. Interview / go to a meal with someone who practices a different religion to you after getting approval from your Troop Scouter. Report on what you learnt to your Patrol or Troop. Lead your Troop in a discussion/debate on a relevant local social issue such as differences in religion, gender or ethnicity. The topic should be agreed upon by the Troop Scouter. Construct a handicap awareness trail for younger Scouts to use. Take younger Scouts on a visit to an organisation that works with people living with disabilities. Demonstrate your ability to lead by successfully leading your Patrol across two outdoor obstacles pre-determined by your Scouter in which you have to plan your method and gather the necessary resources. This page was last modified on 9 April 2019, at 08:58.